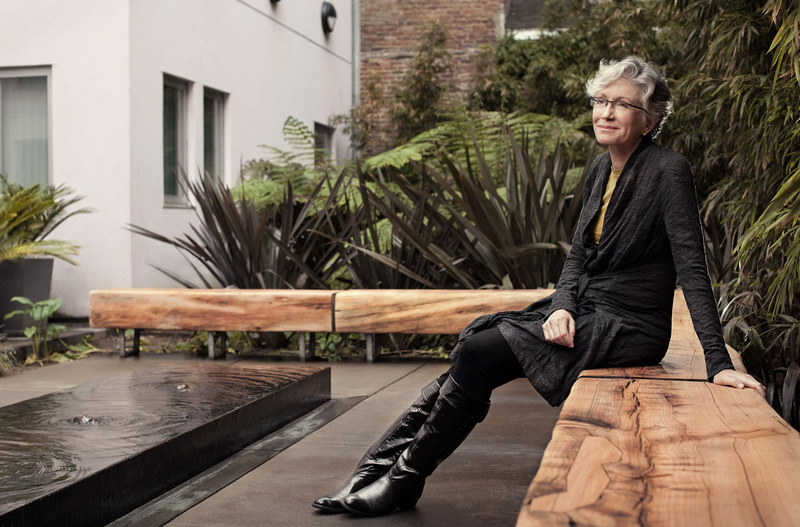 Portrait of Andrea Cochran in San Francisco, California in one of her landscapes she designed. Andrea Cochran is a Landscape Architecture who is based in San Francisco. Shot for San Francisco magazine by Chad Riley Photography.